The CDVI Group is a major player in the market for access control and locking systems. As a manufacturer of access control CDVI can offer total solutions for each security project. CDVI Ltd was formed in 1999 to provide sales, marketing, support and local manufacturing for the UK and Irish security markets. Based in High Wycombe, Buckinghamshire, we offer a fully functional training room with modules designed to ensure that our certified installers are fully familiar with all our product range. We also have technical support engineers that ensure the end-users get a high quality performance from our products, with the minimum of fuss. High Wycombe, UK, March 13, 2019 – CDVI, a leading access control manufacturer worldwide, announced a new fully functional integration between ATRIUM online access control and Texecom intruder alarm systems. 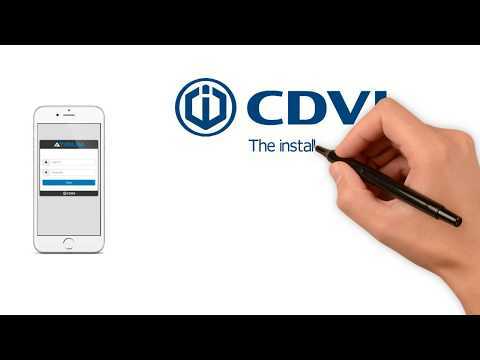 High Wycombe, UK, February 26, 2019 – CDVI, a leading access control manufacturer worldwide, announced advanced door automation solutions prior to The Security Event in April. Thanks to the simplicity and efficiency of the DIGIWAY door operators, all installers can confidently open their business’ doors to the automation market. High Wycombe, UK, February 12, 2019 – CDVI, a leading access control manufacturer worldwide, announced new readers with advanced technology solutions to showcase at the Security Event. Secure reader technologies are one of the first steps towards more secure access control systems. The new MIFARE® and DESFire® readers from CDVI offer added security in a stylish design. High Wycombe, UK, January 15, 2019 – CDVI, a leading access control manufacturer worldwide, announced its participation in The Security Event.